One of the best parts of a career in Android development is the vibrant community. 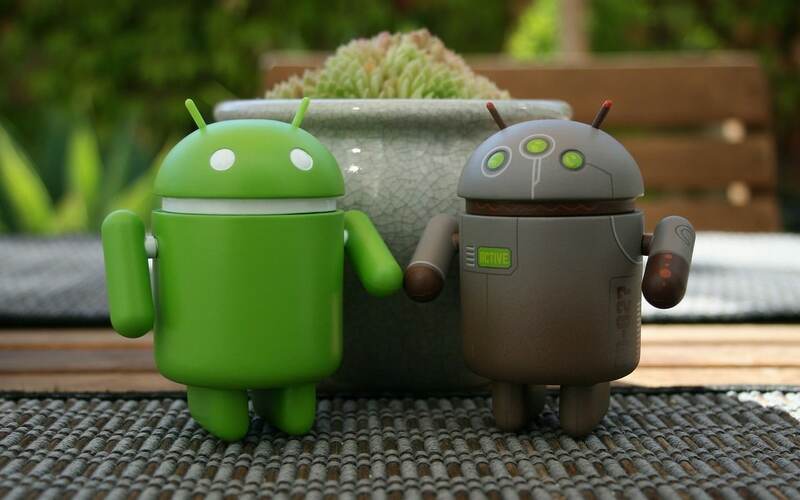 The Android developer ecosystem is dynamic and symbiotic, with devs sharing tips, tricks, and tutorials across the internet and in real life at hackathons, conferences, meetups, and more. 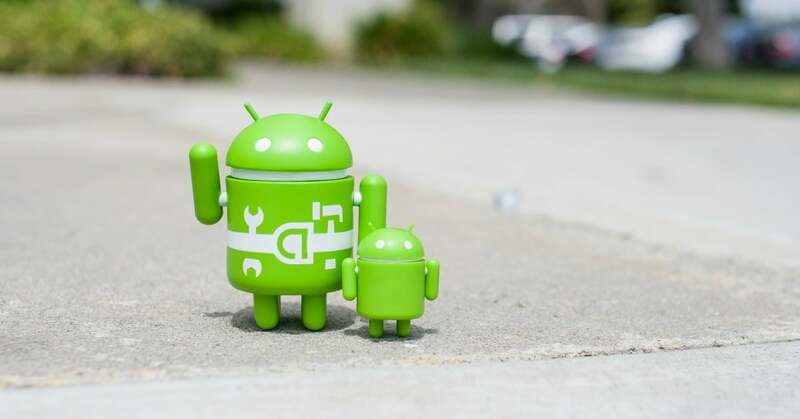 As you bone up on your skills as an Android developer, be sure to check out the following toolkit of 30 online resources for everything from keeping up to date on industry intel to keeping your skills sharp. As mobile apps connect more of the planet, and enable users around the globe to engage in more interesting and innovative ways than ever imagined, the job of the mobile app developer has become ever more enriching, fulfilling, and necessary to the modern global economy. The mobile apps we use every day have changed the way we conduct business, the way we communicate and consume entertainment, the way we learn things about the world. You wouldn’t be wrong if you thought mobile app development sounded like one of the coolest job industries of the moment. So how do you become a mobile developer? Here’s the bare bones version: you pick a platform—like Android, iOS, or Windows Mobile—learn the technical skills, bone up on your soft skills, and have at it. Learn Programming? You Already Know How. Programming is a fantastic career field for many reasons (great pay, solid career growth, serious job demand). No news there. But what you may not realize about programming as a job choice is that, no matter how far along in your studies you may be, you can actually already do it really well. “Say what? !” you may be thinking, if you’re a total coding newbie and intimidated by the perceived learning curve. Or else, if you’re in the process of picking it up or sharpening your skills, “I know I can already do it, I’ve learned through courses, books, blogs, and hours of coding practice.” But here’s the thing: every day, people of all types, in all fields, of all mathematical abilities, are “programming” in their daily lives simply by way of using certain thought structures or patterns of logic. Computer programming is just the practice of transcribing those everyday rules into a more structured format. Getting a job offer is fantastic (congrats! ), but before you commit, you’ll want to make sure the cultural fit is completely mutual. The greatest predictor of the longevity of your experience with any company likely won’t be your salary, benefits, or title — it’ll be the cultural accord. Any role you step into, however awesome it is on paper, should be as perfect for you as you are for the company. Not sure exactly how to measure that cultural coherence, beyond a gut feeling? 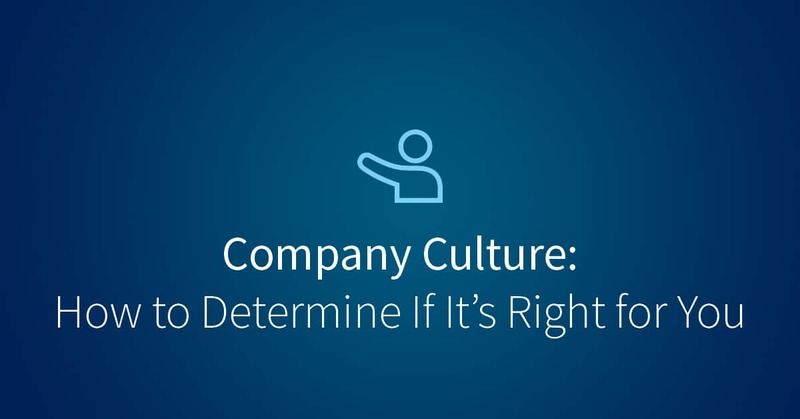 First of all, familiarize yourself with the aspects of a company that affect its professional culture. Metrics that affect culture might include the size and age of the organization, the personalities of the people in charge, the organization’s mission and product, and the average age and diversity of the employees. A tech startup is more likely to have a youthful, energized culture compared to a legacy tech company, but could also be more unorganized and demanding of its staff. A creative agency probably has a more casual, charismatic vibe than an SAAS (software as a service) company, but could have much longer work hours and less opportunity for organized professional advancement. With that background under your belt, know that, stereotypes aside, every single company has a unique culture and it’s up to you to sniff it out before signing on. Here’s how to gauge whether or not you’ll be happy in your new professional home. The first step is to make sure you’re in the know about why exactly the job is available. Get the lowdown from the recruiter or hiring manager, or keep your ears perked for clues from the other employees who interview you. If the role was vacated by someone promoted (either internally or externally) or someone who had been at the organization for many years and sought a change, or if it’s a brand new opening at the company, there are probably no red flags you need to pursue. If you do sense, for a preexisting role, that there was tension surrounding the person’s departure, pay attention to your instincts as to whether or not there are substantive issues at play — a slave-driving boss, an unrealistically heavy workload — that might cause unrest for you, too. During the interview process, there’s a certain finesse required in poking around for answers on what a company’s culture is like. For example, if you want to know whether employees typically take an actual lunch hour or else grab food and scarf it down at their desks while working, it may be better to ask an interviewer who would be on your peer level than one who would be your future manager. You want to get information without implying to a higher-up an unwillingness to devote yourself to the job. Do you feel (…) that this is a healthy, supportive, fulfilling place for you to spend 40+ hours of your week? But you can feel free to ask anyone openly about what people like most about their coworkers, or about what the team does, if anything, to bond and keep morale high. Also be sure to get the complete lowdown from the HR department or the recruiter on the organization’s benefits policy. How generous a company is in its extension of benefits like 401(k) matching or pre-tax transit is often an indicator of how cared-for employees feel in general. Use every second of your time at the company’s office to collect data on what it’s like to work there. Does the receptionist seem upbeat or at least content, or does he or she look dejected and miserable? How do the employees talk to each other and interact with each other, if at all? What’s the noise volume? What are people wearing? Scour professional sites like Glassdoor and LinkedIn, plus social networks like Twitter and Quora, to gather intel on what it’s like to work at the company you’re considering joining. Glassdoor offers detailed reviews from former and current employees of more than 350,000 companies, covering everything from average salaries to CEO approval ratings. On LinkedIn, take a look at how current employees of the company describe their roles, and what people’s recent recommendations of them say, in case the content helps you draw conclusions about the company culture (for example, you could find a reference to working late nights or a fun recurring company happy hour). On social media and online forums, search for the name of the company and names of key executives like the CEO and whoever your manager will be. You may even find that some of the exact questions you’ve got have already been asked, especially if it’s a well-known company, and you can then take advantage of browsing the answers. Of course, take note of the posting date of any of the information you glean from your online searching. If any content is more than a few years old, read it with a grain of salt. When it comes to gathering insights into a company, your personal network is just as valuable as your online network. If you were referred to the group by an acquaintance, start there. If not, you never know who you might know (or who they might know) with valuable information about the company. Just be prudent in how you ask, taking a positive and optimistic approach rather than a skeptical or cynical one. You don’t want it to get back to the hiring manager that you were snooping around for dirt. Finally, do what’s called the four-point check: check in with yourself to see how you feel about accepting the job offer from a logical standpoint, an emotional perspective, intuitively, and with respect to your finances. Does this role make sense for you as your next career step, and do all your findings add up to what seems like a pretty rosy cultural picture? Do you feel in your heart that this is a healthy, supportive, fulfilling place for you to spend 40+ hours of your week? (And no, it’s not unrealistic to expect that of your work environment.) Does this seem like the right move to you on a base level, in your gut? And, lastly (yes, last), does the offer make sense for your bank account? Overall, remember your worth. The company in question is excited for you to contribute your unique talent and skills, in exchange for which you should expect a constructive, encouraging professional habitat. Be willing to invest the time and energy up front to ensure that your values match up with those of the company extending you the job offer. It’s a lot easier to do the work of guaranteeing, as much as you can, that you’ll be happy in this position before you sign the offer letter than it is to go on board only to realize a month or so in that you’re the black sheep of the bunch. Good luck! In the first two parts of this three-part series, we took a look at two very different paths to professional web developer: Michael Wales, who always knew what he wanted to do, and did it from childhood; and Cameron Pittman, who hit upon this career by accident as an adult, but who at least had a background in the sciences. So, ‘OK,’ you may be thinking, ‘A background in hard science is not altogether different from computer programming.’ What if you studied, or have been working in, a wildly divergent field like art, or history, or psychology? Ben is a multi-talented musician, skilled in piano, clarinet, bass clarinet, guitar, harmonium, flute, saxophone, and bass. He was a theater major in college, focusing on sound and lighting design. He’s an experienced teacher, as well as a media designer, having freelanced from 2009 to 2012 doing video editing, motion graphics, audio recording, live mixing, and music composition. He’s also a professional web developer, currently employed as a course developer at Udacity. Teaching, Ben suggested, is one of the best ways to learn. It helped him learn that he had a strong interest in pursuing development seriously. He encourages students to not only learn from a teacher (online or offline), but to also teach themselves and each other. 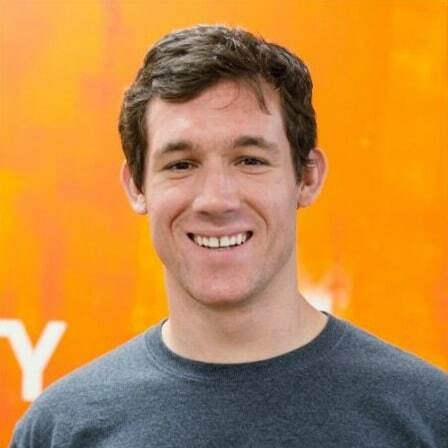 Ben channeled his self-taught coding smarts into a job as the lead front-end developer at a San Francisco Bay area startup, developing the company’s website, mobile-optimized consumer web app, iPhone and Android apps with Cordova, and the initial skeleton for the platform’s venue portal. 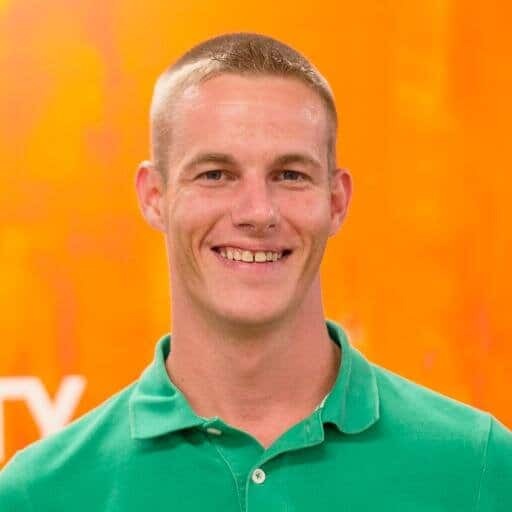 By fall 2014, he had joined the Udacity crew and hasn’t looked back—except to reflect, when prompted, on how his colorful background has served him well as a developer. Having a wide range of interests can serve you well as a developer if you find the through line that ties them all together. In Ben’s case, the patterns that underlay mathematics, music, and code are fascinating to him, which helps him think ultra-creatively and abstractly. There’s a reason career experts tell you to follow your passion: not only will you be the most stimulated and fulfilled, you’ll be better at your work. Can you build a career as a web developer from scratch? In short, absolutely. Learning is a lifelong activity, and every journey is personal. Take inspiration from Michael’s, Cameron’s, and Ben’s stories that, no matter the start of your own story, it can end like theirs. Did you, unlike Udacity Course Developer Michael Wales, have no idea what you wanted to do while you were growing up? Maybe you dabbled in a few different areas of interest, spending various after-school evenings and weekends experimenting and boning up on a range of skills. Maybe you tried out a wide swath of classes in high school and courses in college, enjoying many but not finding yourself deeply certain yet what professional path to take. Maybe you did find yourself enchanted by a certain subject, but it wasn’t web development or even computer science. Pre-programming, Cameron was actually a science teacher in Nashville, teaching astronomy, physics, and chemistry to public and charter school high schoolers. His undergraduate major was in physics with honors in astronomy, which he bolstered with an M.A. in teaching. But his path led from high school science classroom to Internet startup when he left teaching to help build e-learning platform LearnBIG, where he could apply his education credentials in an exciting, envelope-pushing environment. Stay tuned for Part Three of the series. Guess what one thing successful web developers have in common across the board? A degree in computer science? Nope. A background in programming? Not that either. The answer is, a fervent enthusiasm for their work. The only thing 100% necessary to success as a web developer is passion. A deep interest in the field fuels the perseverance that the best developers use to hone their technical skills, keep up with industry updates and trends, and challenge their creativity in order to deliver the best possible work. Career paths are more circuitous than ever before: gone are the days of the linear route up the hierarchy within one company. That means, if you’re interested in web development, but are currently employed in a different field or have zero professional experience in the industry so far, you’re totally not out of luck. The career successes of three of Udacity‘s top-tier web developers—Michael Wales, Cameron Pittman, and Ben Jaffe—demonstrate just how far you can get as a developer, no matter where you begin or how you build from there. 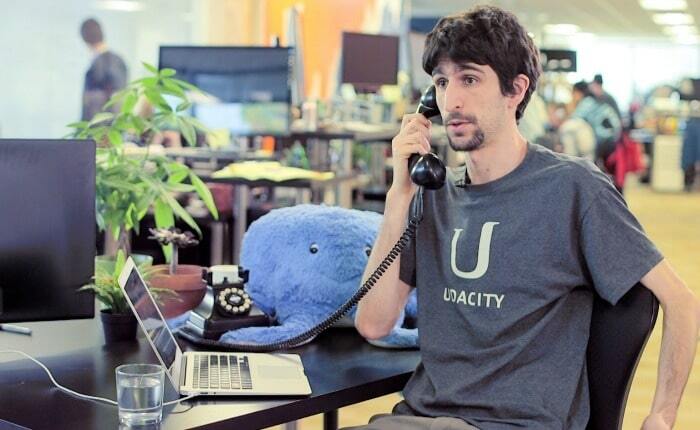 We’ll start with Michael, Udacity’s Web Dev Curriculum Manager. When Michael turned 12, a new development kicked his hobby up a notch and further solidified his professional destiny. His household got Internet access. Bolstered by the previous few years’ experience writing software programs, Michael cut his teeth as a novice web developer building sites on Angelfire and the now-defunct GeoCities. In fact, his father, afraid Michael might break or crash the computer, had forbid him from signing up for GeoCities. Defiant, Michael went against his father’s advice. Recently, the latter assured his son that disregarding that directive was the best decision Michael ever made. That’s because Michael now boasts more than 16 years of web development experience, all of which has been self-taught. Free and inexpensive online courses weren’t available when he was growing up learning the ropes of the field, and college just never stuck for him. What was around? QBasic library books, which he checked out with the fever of a kid bit by the bug of something just a little bit more compelling than your average enjoyable pastime. One book in particular Michael set his sights on as a resource well worth owning: PHP Fast & Easy by Prima Publishing. To this day, he can still picture the cover of the book in his mind. He saved his allowance for nine weeks to earn the $45 that the book cost. Aside from that expense, Michael’s path from neophyte to pro was paid for only by his dedication and intellectual curiosity. “You could DIY [Do It Yourself] it with the text editor that came with the computer,” he said. Your code either works, or it doesn’t. The site you’re building is either easy to navigate and quick to load, or it’s not. The lack of formal education in web development did him no disservice in landing top-tier jobs. From 2003 to 2009, Michael was employed by the United States Air Force as a Computer Systems Administrator NCO. He developed everything from client systems and network infrastructure for the Joint Space Operations Center, which serves as the focal point for all military space operations, to web-based real-time satellite maps of interior Alaska wildfires for use by military, civilian, and emergency personnel during disaster response. He was also the sole system and network technician for five General Officers within the Joint Functional Component Command for Space and the 14th Air Force, addressing all software, hardware, and infrastructure issues across all network classification levels. He saved his allowance for nine weeks to earn the $45 that [PHP Fast & Easy] cost. His favorite aspect of the job specifically, and web development in general? “I learn something new every single day,” he said. “What is popular and relevant today will be completely outdated in six months.” In other words, no matter your level of experience, it’s crucial to stay up on industry trends and best practices. Michael also appreciates how working as a dev lets you see immediate results and get instant feedback. Your code either works, or it doesn’t. The site you’re building is either easy to navigate and quick to load, or it’s not. There’s no murky confusion like there is in fields that are less quantitative when it comes to product. Collect knowledge along the way as you gain more and more experience, until you find yourself in a professional home that feels just right. Stay tuned for Parts Two and Three of the series.